Happy Humpday! I'm switching things up a bit today on the blog so feel free to let me know whether you like it, don't like it, couldn't care either way; I just figured I'd try something new and share with you guys a little of what I'm doing when I'm out of the office for work, especially since it seems to be more and more frequently. I have to admit, I LOVE my job. I spent many years bored, unfulfilled and just downright unhappy at my previous job so it's such a refreshing change of pace to be challenged and get to participate in such an amazing company and fun projects. Before coming here I'd had never participated in a photo shoot and I wasn't really much of a mixologist but I've really gotten to step out of my comfort zone and do a lot in both of these aspects and I'm so happy I have! Last week when I was out for three days I got to work with a mixologist (and flare bartender) and learn how to make some tasty cocktails at home so today I'm sharing one of those cocktails with you. I know tomorrow is Cinco de Mayo so I should be sharing a margarita but a mojito is such a refreshing summer cocktail that I just had to share it! A mojito really is a fairly simple cocktail to make and has a wide variety of variations so it's easy to switch it up just slightly and have almost a whole new cocktail! While the simple syrup is cooling, add mint and lime to a glass. Add cooled simple syrup and rum to the glass. * You can skip making your own simple syrup and use store bought simple syrup if you'd like. Is it sad that this makes me want to drink at 6am? So yummy! That looks so refreshing! I always loved mojitos. It makes me sad I can't drink due to my medicine, but I would be all over this for sure! One of the best ones I had was in New Orleans! I love mojito is my favorite cocktail! This is MY kind of drink, esp with how humid it has been. Cheers! Love a mojito (and it's a nice marg alternative for Cinco) - I especially like experimenting with its different variations, like adding strawberries! I'm not usually a mojito fan bc they're too sweet but this recipe sounds amazing! Maybe just lighter on the sugar! Always love fresh lime in a cocktail! Love that you love your job too!! So glad you are loving your job so much-- I feel like that makes such a huge difference in every aspect of your life. 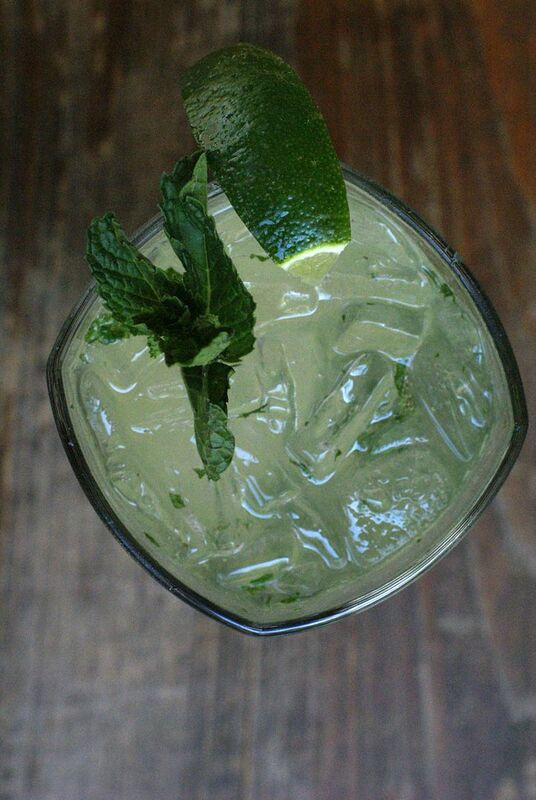 Your job always looks SO fun, and this mojito sounds delicious! Yummy! I'm more of a margarita girl but I love mojitos too. Great pictures. I LOVE mojitos! 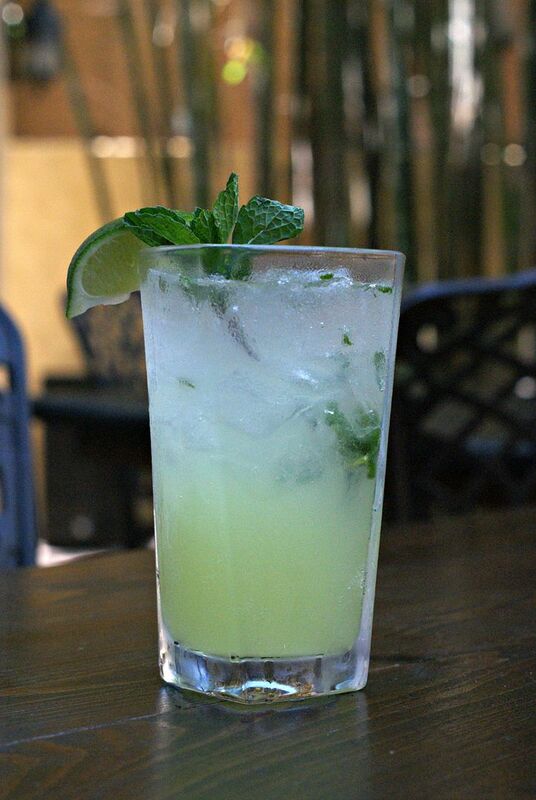 There's nothing more refreshing than limes and mint! Thanks for the recipe, sweets! Glad to hear you are loving your job, that is amazing and something a lot people will never get to experience! A mint mojito will definitely be calling my name in June, I've tried them without alcohol but they're just too sweet that way! LOVE this girl...more more more! So happy to hear you love your job, it's so important since we spend so much of our day there. This sounds so good, I love mojitos! I love mojitos! They are my favorite Summer drinks for those hot months. So glad to hear you are loving your job! You know, I've never had a mojito!?! Definitely need to give one a try! I tend to crave margaritas for Cinco de Mayo, but a mojito is perfect for a hot summer day in Texas or Florida! I would love to see more cocktail recipes! Delicious! I actually prefer a mojito over a margarita anyway so this is perfect! I'm meeting up a friend for drinks tomorrow so I'll be ordering that :)! This mojito looks so delicious and refreshing! You are so right, it's easy to switch up the ingredients with mojitos and make completely different drinks. I love that about them! Yum! I had a grape mojito once and it was AMAZING! This mojito looks so good and learning how to make cocktails must be so much fun! I love a good mint mojito in the summer! :) Yours looks so refreshing. I much prefer mojitos to margaritas. Your recipe sounds delicious! I always order them when i'm out for dinner at places like Bahama Breeze. I love learning more about your job and that you're sharing a delicious cocktail recipe today! I love mojitos but I never drink them! May have to try this at home! I'd surely want to try this. Thanks for sharing the recipe. Brian and I loveeee a good mojito! Can’t wait to try this recipe out! Yum! This looks delicious! We always get more adventurous with our drink making when it warms up so I'm happy this season is upon us! Love d simple recipe, definietly gonna try it as it's perfect for this hot weather. This is so fun! I love myself a mojito, especially as the weather gets warmer. Oh what I would do for a mojito! Lol. Definitely one of my favorite summer time drinks, so refreshing! this looks so refreshing! but really, that is so awesome that you love your job. nothing better! it really makes a difference.